We are pleased to announce the launch of the International BOTART III EXHIBITION: “Masters of Contemporary Barrel Art.” The idea of creating a collection of contemporary artistic creations on wooden barrels was created by the 300-year-old Can Ribas Winery in 2008 in Mallorca, Spain, under the sponsorship of the Minister of Culture of Spain and the Presidency and Insular Council of the Balearic Islands. The current collection of 90 Barrels is the world’s first and largest Barrel Art Collection. It has been exhibited in well-known European wine regions including Munich and Berlin, Germany; Brussels, Belgium; Zurich, Switzerland; and Madrid and Mallorca, Spain. The exhibition made its transcontinental debut at Carmel Mission in the beautiful wine region of Carmel, California, with a specially commissioned, Blessed Stained Glass Barrel Artifact created by the famous Judson Studios in honor of the 300th anniversary of the birth of Father Junipero Serra. 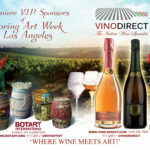 BOTART has commissioned only 11 artists to premiere their work at BOTART III at WestEDGE Design Fair in Santa Monica, along with the Father Serra Barrel Artifact. 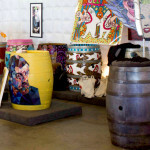 The artists have each created a unique piece of art in their signature styles, using wooden barrels sponsored by San Antonio Winery, for this Vernissage Art Exhibition. The artists’ Barrels will remain in the international BOTART collection so that the artist’s work will be presented continually in our exhibitions. 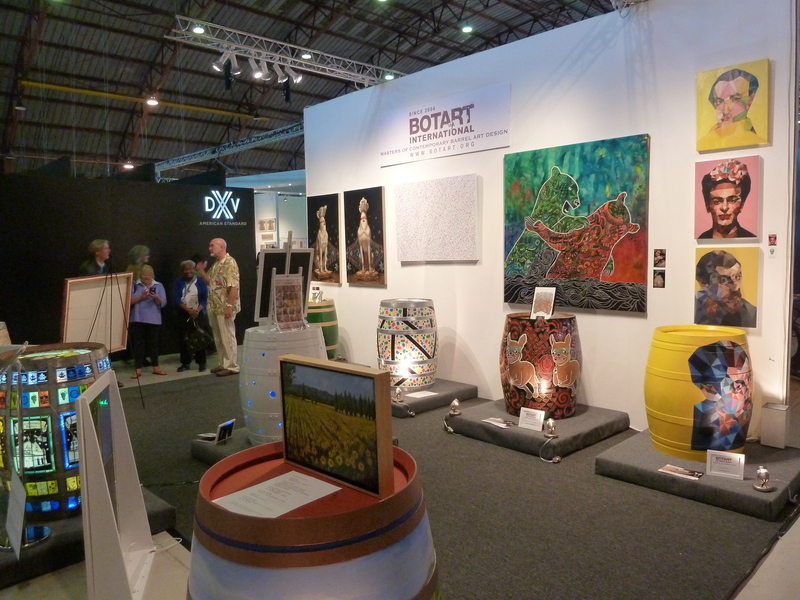 BOTART Exhibitions are true to an artist’s interests, promoting our artists worldwide where the artist will be most valued and commissioned by others to create art. BOTART organizes roadshow partnerships with Museums, Commercial Centers, Hotels and Resorts, renowned Art Fairs, and Architectural and Interior Design Exhibitions. Successful, well-known, mature artists also join BOTART as mentors for up-and-coming artists, thereby creating a positive cultural exchange of knowledge and ideas. We have selected “Heal the Bay” to be the charitable beneficiary of two Barrels created for WestEDGE Design Fair. All works will be presented at a silent bidding auction during the Exhibition and the two highest bids for all the Barrels on show will win the auction. The artists who won will be personally commissioned by the winning bidders to create a new Barrel for them. 50% of the total bid will be given to the artists who won and donated the Barrel for auction, and 50% will be donated to “Heal the Bay” to underwrite their ongoing programs. WestEDGE (westedgedesignfair.com), created by the founders of the prestigious Architectural Digest Design Show in New York, is a highly anticipated 3-day industry exhibition and seminar show with more than 35 media partners and 6500 professional attendees. 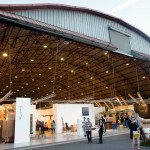 The opening night party will benefit Heal the Bay Charity and there will be a special benefit cocktail party the following evening for the famous Los Angeles A+D Museum of Architecture and Design.